Stunning 4 bedroom, 2 bath 2,260 sq. 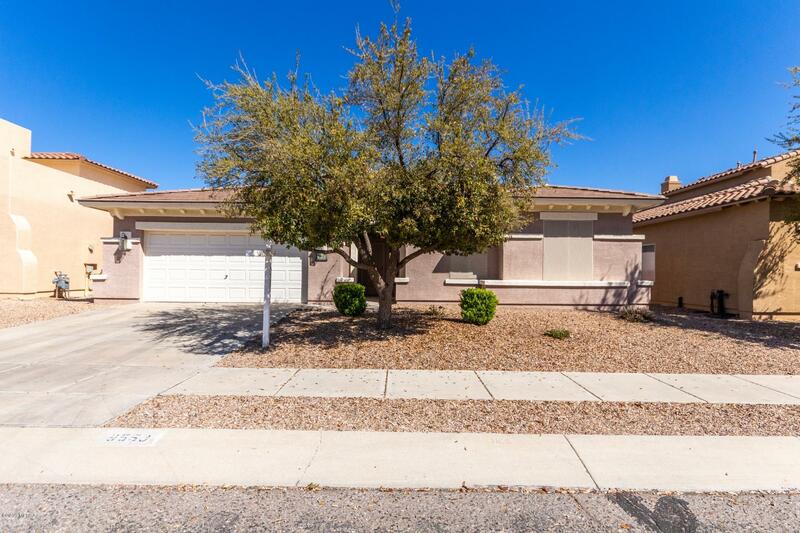 ft. dream home, nestled within quiet Tuscon neighborhood. Front yard manicured, low-upkeep desert landscaping. Vast, private backyard covered patio, desert landscaping, lush, green grass and dirt trail. Interior open floorplan. Immaculate tile flooring throughout. Ultramodern kitchen boasts granite countertops, breakfast bar,wooden cabinetry, and state-of-the-art, stainless steel appliances. Formal dining room off of the kitchen, complete with chandelier. Spacious Family Room, perfect for relaxation or entertainment. Luxurious Master bedroom Bay windows, walk-in closet and full bathroom possessing vanity/dual sinks, garden tub overlooked by glass block window, fully-tiled, walk-in shower, and private toilet room. Bonus indoor laundry room.